Anything I find that even remotely resembles something Egyptian I automatically bump it up to the top of the list. 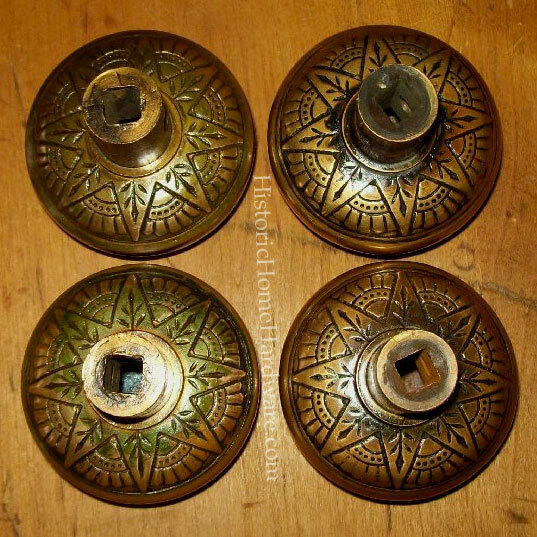 In this case, however, I decided to make these beauties from Historic Home Hardware my grand finale for our week of door knobs. 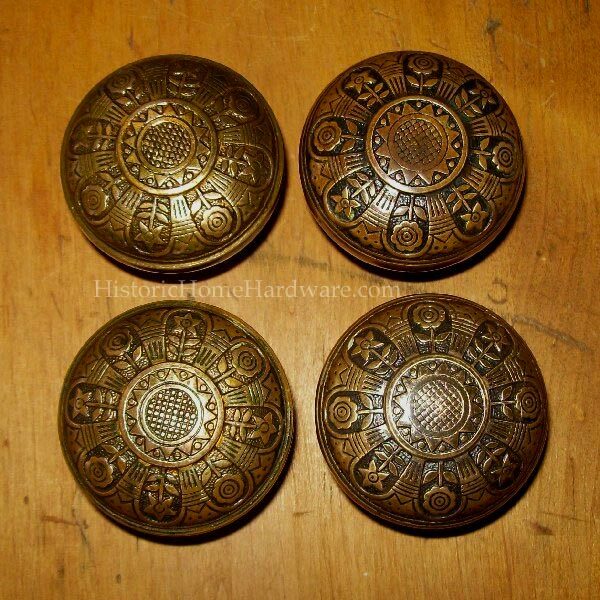 I love, love, love, love, LOVE this sun, flower, and columns pattern in these Egyptian-motif Antique cast bronze doors knobs made around 1885 by Nashua Manufacturing. Even the backs continue with a different, more obvious Egyptian pattern. According to Historic Home Hardware, during the Victorian era homeowners were enthralled by all things with an Egyptian, Persian or Chinese motif. “Love is like a beautiful flower which I may not touch, but whose fragrance makes the garden a place of delight just the same.